Size & Color Sizes are in Men's US. 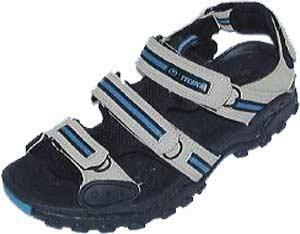 These all-terrain sandals provide protection, function and freedom for your feet. Strappy uppers are laced with elastic cord and secure with quicklocks; equipped with pull loops for easy on and off, and not when you don't want them off. EVA midsoles provide great cushioning.